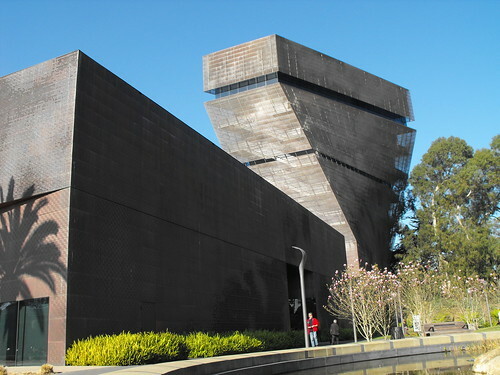 De Young museum. FREE the first Tuesday of the month. 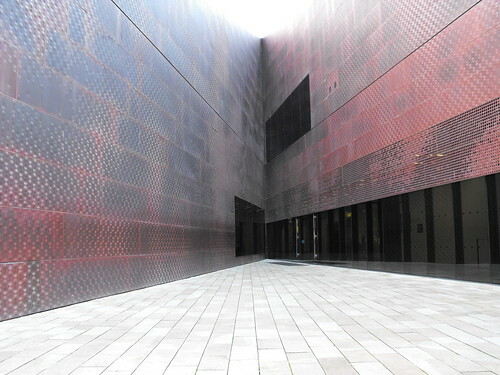 You can tell that the designer of this building graduated from The Jawa Sandcrawler School of Architecture. I know that rubs some people the wrong way and comes off as lazy, but it also makes for a great icon. 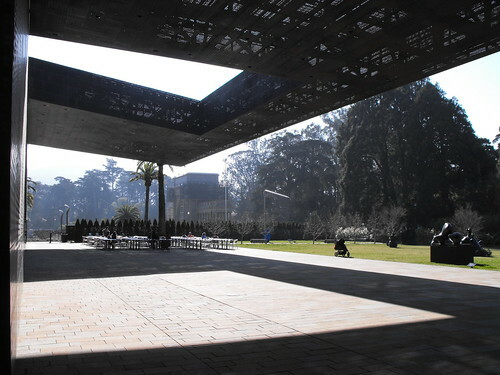 The free days at the De Young are a breaze, there wasn’t even a line to get in. 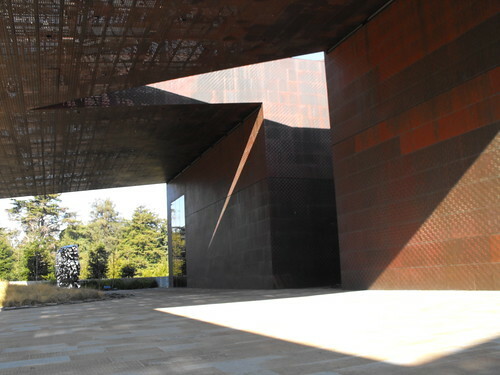 Nothing like the insanity that’s the free day at the California Academy of Science. There’s a great view from the tower. 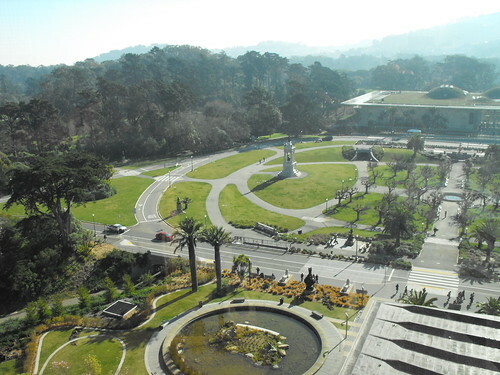 The California Academy of Science is directly across and has one of the more interesting roofs. The bandshell has got to be one of my favorite places for parties. They used to have free ones there all the time, now it’s only a handful per year. I live for free parties in the park.